The company behind plans for a major new development at Flaxby is proposing to reopen Goldsborough Railway Station as a new park and ride station, which would be re-named Flaxby Parkway Station. The submitted planning application to transform Flaxby's disused golf course into a new sustainable village community, known as Flaxby Park, is currently available to view on Harrogate Borough Council's website. It includes 2,750 high quality homes along with a retirement village, two primary schools, a GP surgery, sports facilities and a new village centre. More than 50% of the site will consist of green open space. Reopening the former Goldsborough Railway Station forms part of the developer's commitment to improving both local and strategic transport links. The station would be located on the Harrogate to York line offering direct rail services to Harrogate, Leeds and York. As well as providing access to rail for the new Flaxby community, the new Flaxby Parkway Station will provide strategic park and ride for other local communities and for those currently using the A1(M), whilst also forming an important interchange with bus services from Harrogate and Knaresborough. In addition, it would serve the consented Flaxby Green Park development, which is a new business and science park that has the potential to support 2,840 jobs. Network Rail has already confirmed in its statutory consultation response, on the outline planning application, that there are "no significant technical obstacles to the provision of a new station" at Flaxby. Chris Musgrave said: "We're delighted to announce our plans for the former Goldsborough Railway Station. It will be a key feature of Flaxby Park, as well as significantly benefitting Flaxby Green Park, by making the science park much more accessible for its employees. "We're now working closely with Network Rail to ensure that the station's timetabling requirements can be accommodated, in order to maximise connections for the two-way traffic that the station will attract throughout the day. This will provide opportunities for residents who live at Flaxby Park to commute by rail to nearby towns and cities in the morning, before returning home in the evening, at the same time as employees at Flaxby Green Park are travelling in the opposite directions. "When this is combined with the park and ride scheme, that will serve commuters, shoppers, tourists and all other visitors who travel to Harrogate and Knaresborough, it will make the new Parkway Station highly sustainable, as well as significantly reducing traffic on the A59." Flaxby Park has been designed by a team of leading consultants, including local, respected architects, Wildblood Macdonald and transport planning advisors, Fore Consulting. Nigel Foster, a director of Fore Consulting, said: "A parkway station at Flaxby Park creates a real opportunity to provide a fully integrated strategic park and ride facility, with planned enhanced bus services from Harrogate and Knaresborough. In addition to serving the proposed new settlement and Flaxby Green Park employment site, the improved bus services would further strengthen the local economy by improving accessibility for convenience shopping and business trips to Knaresborough and Harrogate." As well as reopening Goldsborough Railway Station, Flaxby Park also includes a number of other transport related provisions, including an increased bus service, which could be served by an electric fleet of vehicles, and improving access at the entrance of the site, which already offers easy access to junction 47 of the A1(M). Goldsborough Railway Station opened in 1850 and was regularly used by members of the Royal family visiting nearby Goldsborough Hall. The historic property was the marital home of Princess Mary, a great-granddaughter of Queen Victoria, who shared the house with husband Henry, Viscount Lascelles, and their two sons George and Gerald. The couple were given the 80-room property as a wedding gift in 1922. 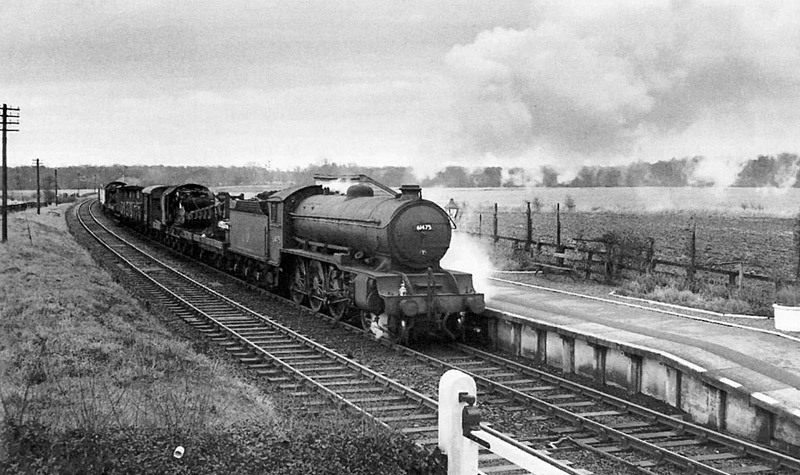 However, the station closed to passengers in 1958, and its freight services ceased in 1965. For further information and to view the planning application, visit www.flaxbypark.com or www.harrogate.gov.uk.